1. Early: That is, the time from the beginning of the landing to the end of the second cycle, At this time, we need to pay attention to relatively few things, mainly to test the basic skills of players, such as the choice of placement, the skills of guns, and the speed of collecting materials. There are few things involved in tactics at this stage. If we often fold at this stage, we should think carefully about how to improve our basic skills. Here we suggest that you should play a lot of fun patterns and you can obviously improve your basic skills. 2. Interim: generally the second contraction It is very complicated to finish the content of the mid-game in the third circle. First, it is necessary to learn how to formulate a reasonable transfer route according to the degree of contraction and engagement, as well as to kill the enemy through a reasonable card click, or through Grabbing air-dropped shots and other methods to defeat the development of the enemy, and even through the analysis of the battlefield, it is possible to select points for survival. At this stage, basic skills are not the only factor that determines the outcome of victory and defeat, but more test the game player’s understanding of the game and develop tactics. ability. If the players often die in this stage, it means that we have misunderstood the understanding of the game, this time we may wish to play with the double-row or single-row mode, because the pattern in the early battle is relatively not very intense, but because The number of teams is small, and it is the time of fierce fighting in the middle of the game. Because of the small number of people, the fault-tolerance rate is relatively low, and it is very much able to exercise our understanding of the game. 3. Late: Start for the fourth circle Until the end of the battle, at this stage, because the combat zone is greatly confined by the safety zone, and the enemies who can reach the finals are by no means good karma . Neither tactics nor marksmanship can influence our victory and defeat. At this time, the two things that can help us most are mentality, luck and luck. These are uncontrollable factors. We will not say here for the time being. A good attitude allows us to collapse Taishan without discoloration. Then, after discovering the positions of all the enemies, they launched an attack to win. Here we mainly talk about the mid-to-late game tactics, and we also choose one Examples for analysis. First of all, after we selected the landing site as Y City for simple killing and collecting, we found that the safe area was not far from us. At this time, we chose to enter the circle to intercept the enemy. However, the trail of an airdrop was found on the way, and judging by the crazily downsizing of the scoreboard, there may be a large number of enemies. In a fierce battle, there is a good chance that no team will be able to steal airdrops. Because we are not very well equipped now, airdrops are still worthy of a gamble. As a result, the fact is that there are no enemies competing with us for airdrops because a large number of enemies are P City Guild Battle. We get emptyAfter the vote, the enemy’s battle basically ended , this time we After a period of obedience, I discovered that the enemy suddenly started in the neighborhood. Fighting fire, and dropping again, We used the opportunity of the enemy to exchange fire and obtained supplies from the airdrop. 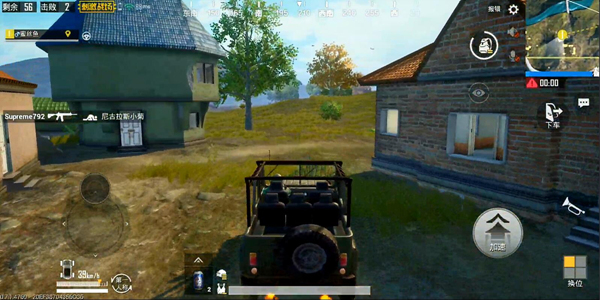 The reason for this judgment is that the houses we are craving are just able to hear the enemy’s exchange of fire, so we seized this opportunity to decisively grab the airdrops. With reasonable tactical planning, we easily reached the final round with extremely low battle losses and very good equipment. In the latter stage, we were only disadvantaged because of the contraction, and only because we met the last whole team in a single row. Second place, but it is enough to explain the importance of tactics in the game. Making a good plan will enable us to enter the finals in a very good condition, greatly improving our chances of eating chicken. PUBG Mobile guide How is the thigh made? Teamwork is king! 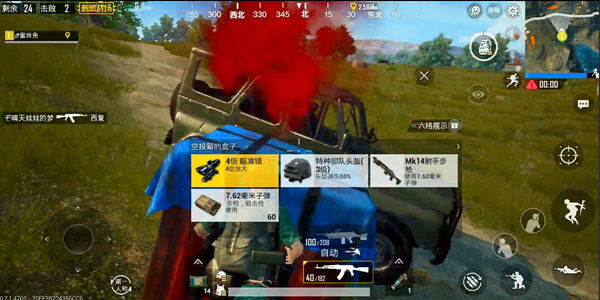 PUBG Mobile guide is a desperate escape, counting the small routines that save our lives. PUBG Mobile guide What should SKS hold?